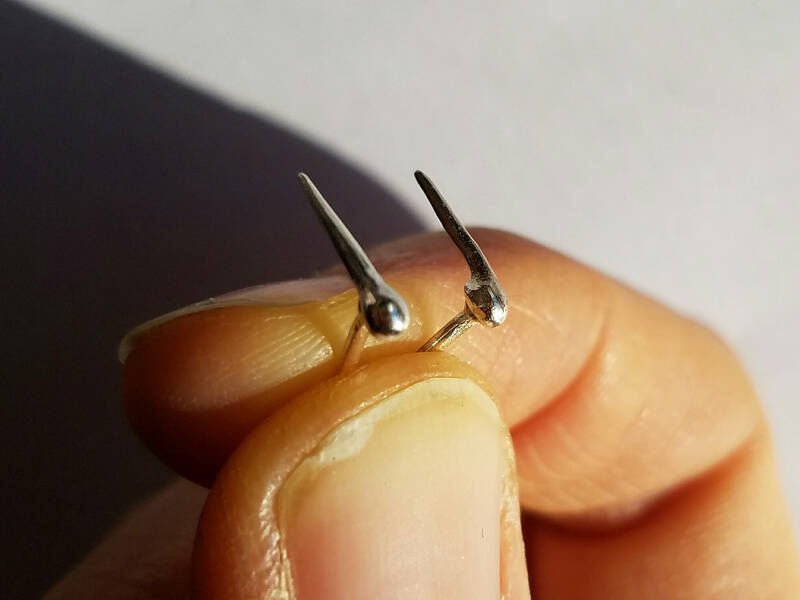 These earring were seriously satisfying to make. 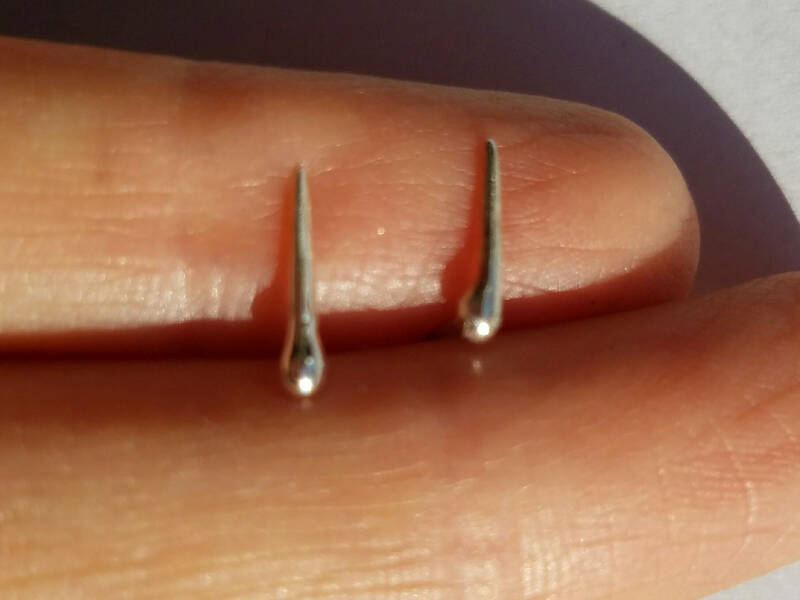 I hand forged and hammered them from sterling silver to create the spikes. 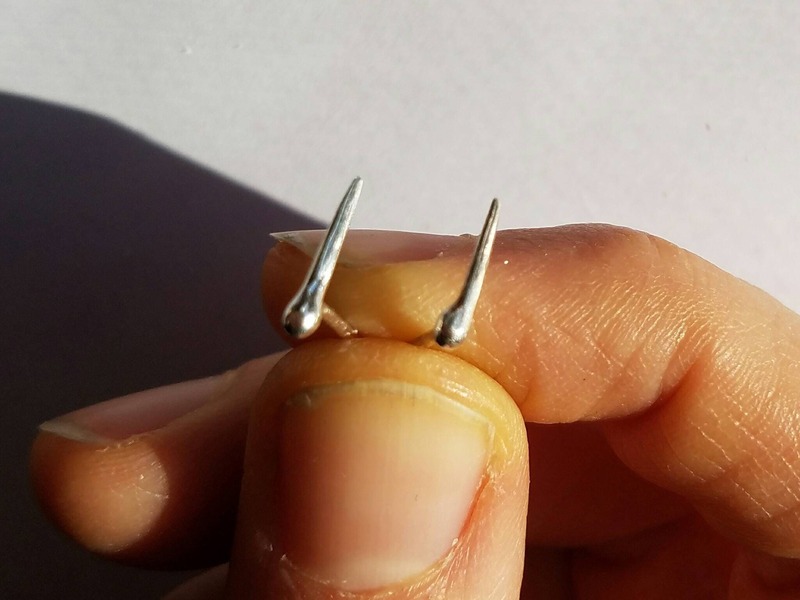 They are pointy, yet not sharp, and quite noticeable despite their small size. 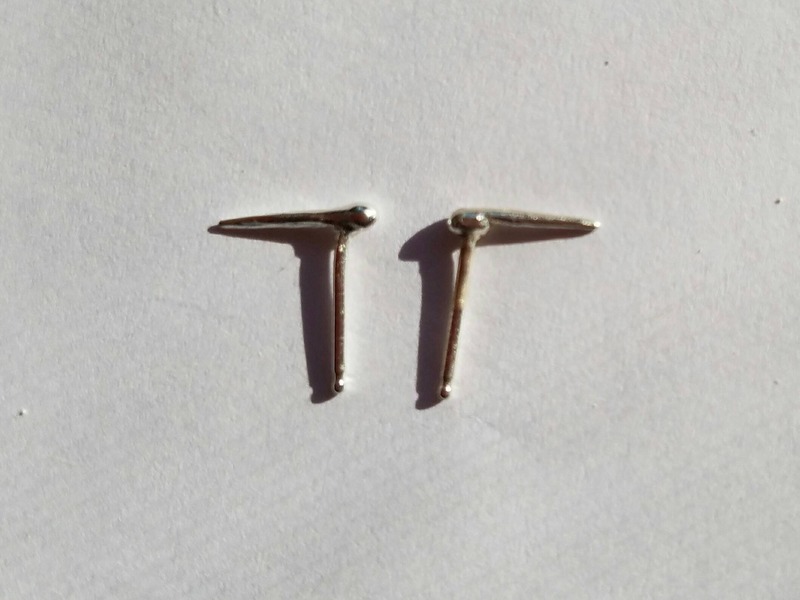 They taper from a little over 2mm to a rounded point and are approximately 10mm long. They are not identical, each one unique. 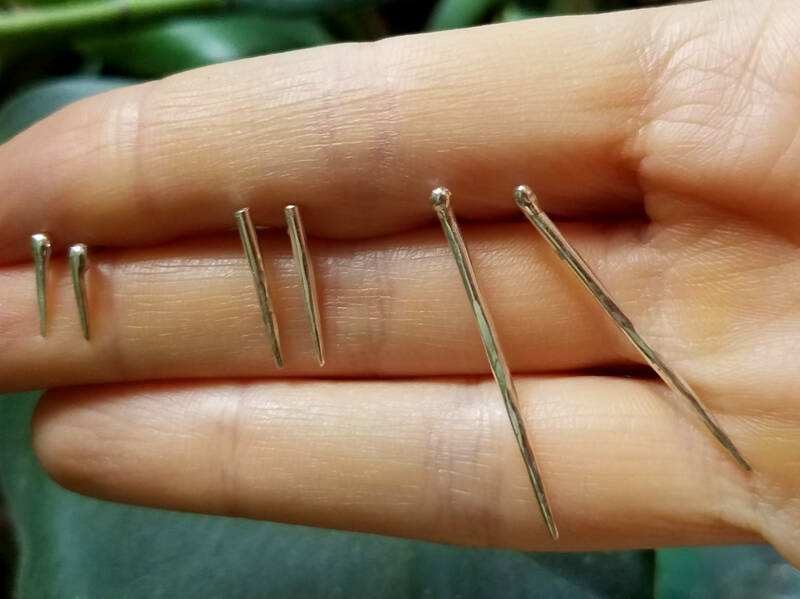 The posts and backs are also sterling silver.